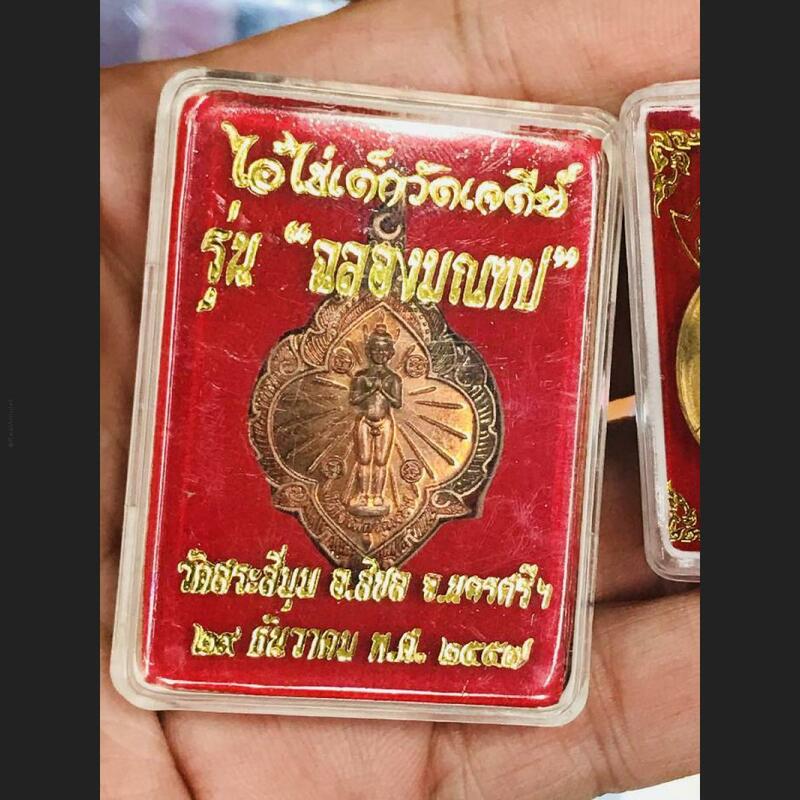 Item 名稱: THAI AMULET GAMBLING MONEY GUMAN THONG BABY MEDAL AI-KAI WAT J.D. BE.2557. BATCH YEAR 2557, MEMORIAL OF NEW MONDHOB, NICE SHAPE FINE ART MEDAL, BEHIND HAS SEAL CODE STAMP. GOOD BRING PROSPERITY AND ENSURE SUCCESS AND WEALTH. Ai-Kai was a young novice monk following LP Thuad on his pilgrimage. When LP Thuad came to Wat Chedi, Si Chon district, Nakhon Si Thammarat province, he ordered Ai-Kai to stay there and look after the temple on his behalf. Not long after that, Ai-Kai died when he was still a boy and his spirit has lived there ever since as a guardian. Ai-Kai's spirit always keeps an eye on the temple; whoever goes in without permission or breaks into to the compound to steal things will be frightened away by him. The power of Ai-Kai is widely known in Nakhon Si Thammarat and other provinces. People said that during World War II, he frightened the invading foreign soldiers, making sure that they ran away without thinking. Because of the strong power of Ai-Kai's spirit, in 2525 BE (1982 CE) people came together to build a statue of Ai-Kai using Mai Takian wood (Mai Takian is a spirit inhabited tree in Thai belief) and invited his spirit to reside in the statue. That made Ai-Kai's statue especially efficacious, because his spirit will help people with whatever things they pray for. Everyday, many devotees come to worship and make offerings to Ai-Kai. They like to make a wish to Ai-Kai's statue and many of them had their wish fulfilled; for example they win lottery prizes or find their missing things. That caused Ai-Kai's spirit to become very famous.